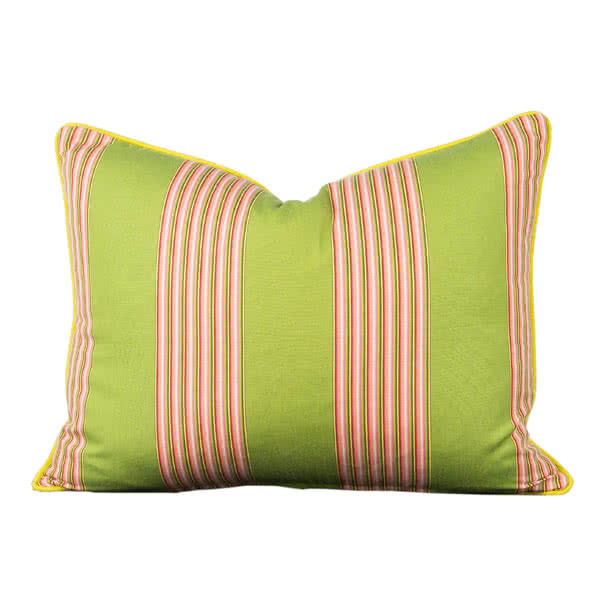 Cushions made in Anna Spiro Textiles Marrigold Solid, Light Pink, backed in green and multi coloured stripe with plain yellow linen contrast piping. 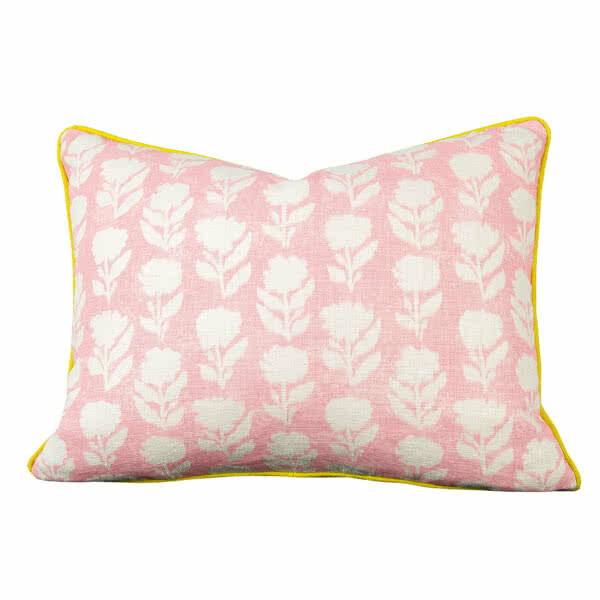 All cushions are professionally custom-made in Australia, provided with premium feather inserts. 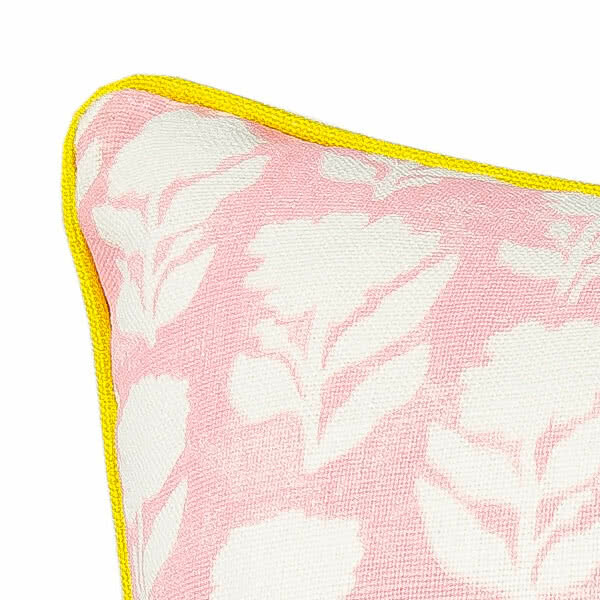 Featured image is the front of the cushion.